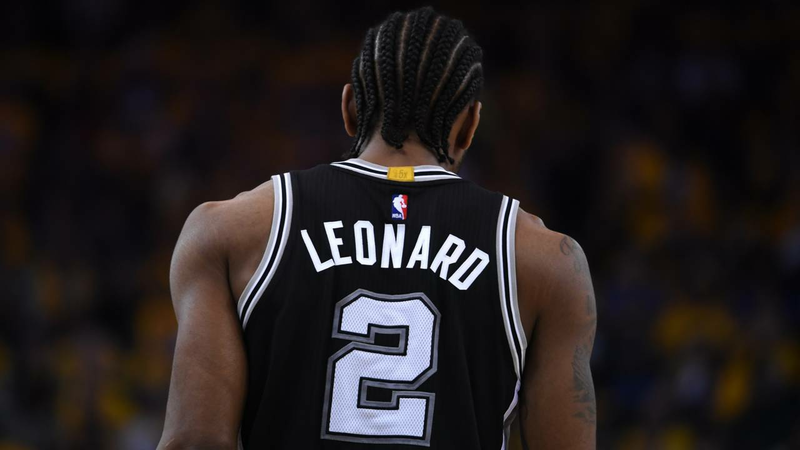 SAN ANTONIO - Former San Antonio Spurs forward Kawhi Leonard, recently traded to the NBA's Toronto Raptors, has written a letter thanking his former team, the city of San Antonio and its fan base. Shams Charania, an NBA reporter for Yahoo Sports, tweeted the full statement Thursday morning. In the seven paragraph letter, Leonard finally gives some insight into his feelings following his departure from the only NBA team he's ever played for. Kawhi specifically thanks head coach Gregg Popovich for helping him with his growth as a player. "THANK YOU Pop I’ll always be grateful for my growth under your guidance," he said. Leonard, through his advisers, demanded a trade over the summer. His departure and fallout from the only NBA franchise he's ever played has remained a bit of a mystery. The deal to Toronto for DeMar DeRozan, however, ended a nearly yearlong saga that involved a reported tense relationship between the Spurs and the player once believed to be the future face of the franchise. "Kawhi worked very hard to become the player that he is, our staff worked very hard to help him get there and we wish him all the best as he moves on to Toronto,” Popovich said following the trade. Last season, Leonard missed the preseason and the first 27 games of the season with an injury that was described by the Spurs as quadriceps tendinopathy. He would return in the month of December, but was shut down a month later after playing in only nine games. He would never again return to the Spurs lineup. While with the Spurs, Leonard was named NBA Finals MVP in 2014 and won back-to-back league Defensive Player of the Year awards. He was also in the top three of league MVP voting twice. Spurs organization and the people and fans of San Antonio. over my seven years in the NBA. dedicated fan base than what I’ve witnessed in San Antonio. always remember the city and the people of San Antonio!